“Trounce” is a good word. If the current Tory regime is UKIP-Lite®, then there’s what’s left of UKIP that hasn’t merged seamlessly with the Tories, and this new Brexit party, which we could call the Real UKIP. Let them all have at it with each other and no holds barred, I say. Trounced, yes. That’ll do… Nigel for PM… that should get us independence. I wonder if crow will be off the menu for Tories as well? It might be difficult given the amount of it Chris Grayling has to eat on a regular basis. I’m surprised there’s any crow left in England. I warned the little fellow I saw in ASDA car park the other day as I removed from its plastic container, a portion of chips which had been discarded in the car park, the better that Mr Crow could consume them at his leisure. Watch out for an ugly bald bloke taking rubbish, Mr Crow, I said. 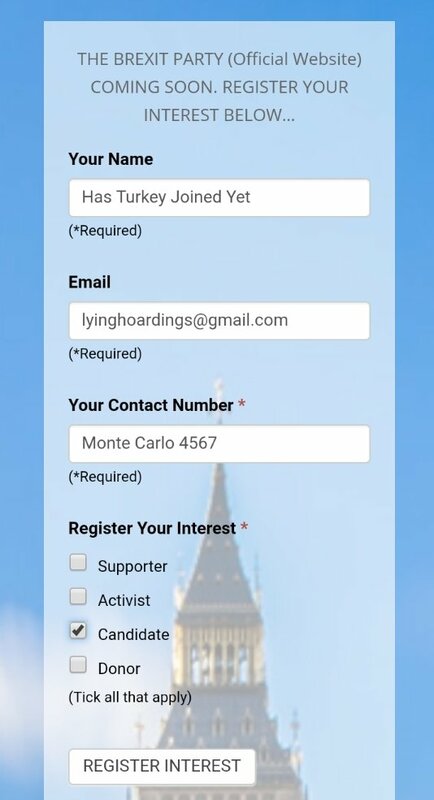 For it’s likely to be Mr Grayling and eating crow is his hobby. I try never to use the word hate, but I’m getting pretty close to using it to describe the actions of this Tory Government. Apart from the Brexit shambles, the sheer, and completely unnecessary cruelty they are subjecting all of us to is appalling, especially the most vulnerable in our society. With the news that Job Centre’s are now banned from referring people in need to food banks, is merely the latest, quite literally, stab in the back to people in desperate situations who are trying to fend off starvation. My disgust at the actions of the Tories nowadays knows no bounds. Of course they are ably assisted by their red allies, the Party of the people, aye right, who if not voting to inflict more hardship on the electorate alongside their blue partners, sit on their hands, and neither see, nor hear more evil. Of course, we will eventually gain our independence, but by then a lot of damage will have been done, because when we announce the date of the second Scottish Independence Referendum, the asset stripping, which has been going on in Scotland for centuries will intensify, as will the sheer hate-filled headlines from the State Broadcaster, and their media allies. If you thought the last campaign was tough, we ain’t seen nothing yet. At my age I just hope I can see it through, because I’ve had more than enough of being told what to do by a Parliament of another country. populated by idiots who couldn’t give a toss about Scotland, or its people, only its riches which they can plunder. Well, I’ve had enough. Anytime you’re ready, Nicola. Absolutely Alex,just thinking that myself. The “cunning plan” from the Westminster establishment,as far as Scotland is concerned,appears to be to increase our perceived dependency on England by running down our oil and gas as fast as they can,strangling our renewables,shutting down what little manufacturing is left,moving food processing south of the border,threatening us with a new Hadrian’s Wall should we dare to vote for independence…………. Westminster no longer represents our interests and in fact appears to be doing the exact opposite but you won’t read about it in HM press. UKOK only applies,for the moment,to those people living in the south of England but the way they are heading,probably not for much longer even for them. How much longer will apathetic Scots put up with this? 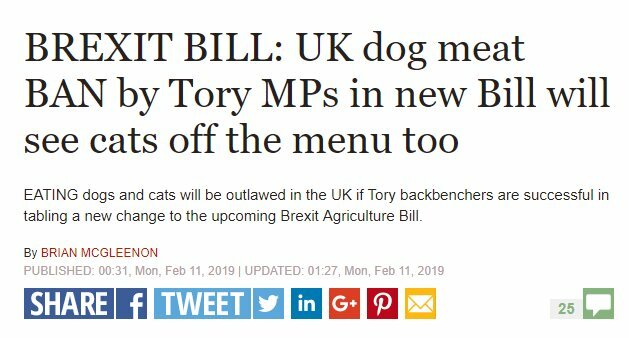 Even the people in the SE of England will wonder if it’s quite the place for them when there’s not that much to eat and Fido is protected by law. It actually doesn’t say that Fido, who also has a bit of an appetite, is forbidden from eating his master….does it? Fido may indeed eat his master, Tris. After all for the Tories it’s a dog eat dog world and they’ve always thought they are top dogs. Yes, the Jobcentre thing is nigh on unbelievable. It would take a monstrously evil person like Rudd to come up with that kind of policy. The Big Society where you and I make up for the shortfall in the state provision is too lefty for her. I’m inclined to believe, although they would deny it in the strongest possible terms, that they are not unhappy to see the very poor, or very sickly or unemployable starve or freeze to death. The Tories see nothing but money in whatever they do. Everything is privatised so that even the most basic and necessary services to society are designed to turn a profit. I imagine they see these people are drains on the kind of society they want to have. I still say that Scots are far less like that and far more like the Scandinavians, who actually do live the good life. I forget who first said it and of whom, but I rather like the phrase “he knew the price of everything, and the value of nothing”. Oscar Wilde, I think, Ed – about cynics. Lord Darlington in Lady Windermere’s fan, I think. On a digression, it occurred to me as I was watching the fitba’ highlights, that if there are concerns about public order issues sufficient to justify deployment of troops after Brexit, are we then going to face bans on large assemblies of people in eg football stadiums ? Restrictions on right of assembly are usually part of any public order clampdown and crowds of the size of even the smallest clubs pose a serious threat if we do get into the stage of social unrest. We indeed live in interesting times. I suppose it depends on who has shares in the likes of Man United and Chelsea. If they are big important people then there will be no bans. Can’t have them losing money paying footballs wads of cash and not getting any dosh in. I think the principle there is while other gatherings may be prohibited for fear of public disorder, nothing will stop Them having what may count as circuses. Of course, the current Westminster regime looks set to fail in keeping the galleons full of food coming in from the EU, so public disorder can indeed be expected. Whether by accident or design, that will allow the imposition of martial law and the suspension of civil rights of all kinds, which have never been adequately protected under UK law anyway. I look forward to the Westminster regime having the unmitigated gall to take the Scottish Government to the Supreme Court to plead for a ruling that would allow it to continue, in Scotland, its flagrant and repeated violations of international legislation which the UK itself signed up to of its own free will – even when it did not sponsor it itself in the first place. We may, in the future, be short of bread, as you point out, but there is no shortage of circus as any tuning in to that bunch in Westminster will show. Yes. I agree. The Scottish government needs to make it clear that Scots law takes full account of international law. Of course, if they (Mayhem’s mob) impose martial law, who knows what may happen. 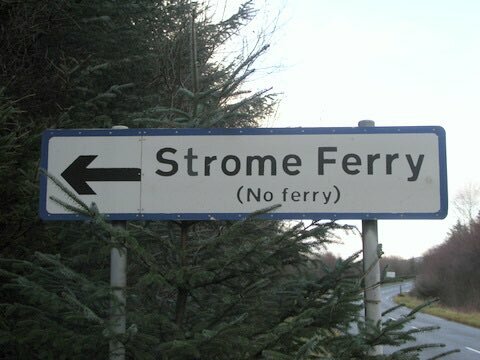 That’s a bit like Grayling’s ferries. Perhaps Grayling’s virtual ferries could ship in virtual virtual reality headsets on which to virtually view virtual food from Europe to virtually satisfy our real hunger in our virtual imaginations. In other words, he’s on a hiding to nothing. EXC: The founder of Nigel Farage’s new Brexit Party has a long history of making inflammatory comments about Muslims. Farage is refusing to say if he will continue to support the party six days after it was founded.